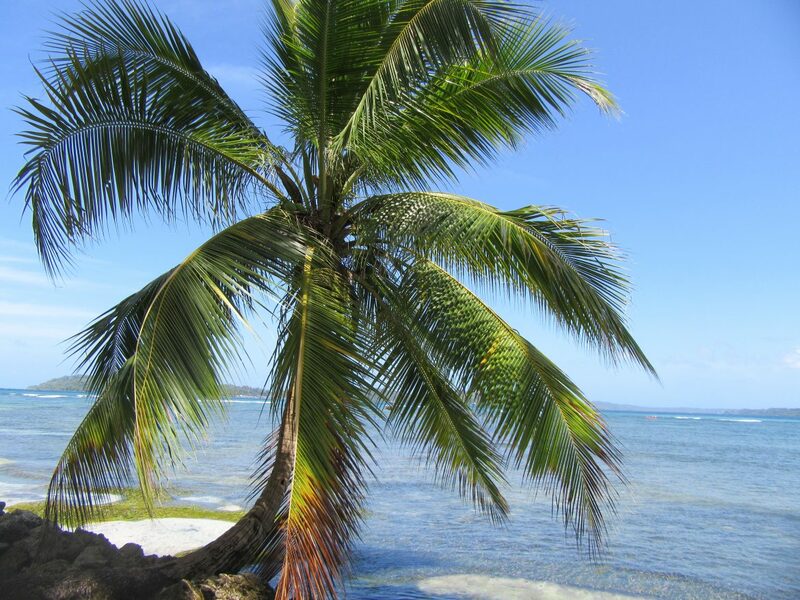 Bocas del Toro – province of Panama, including an archipelago of different islands in the middle of the Caribbean Sea. A real Caribbean dream! Islands themselves had nothing special for me so far, they just were a holiday destination like any other. I could never imagine to live on an island, it made me feel a bit claustrophobic. Things change and so did my feelings about islands, or at least I now can imagine to live right here at Isla Colón . 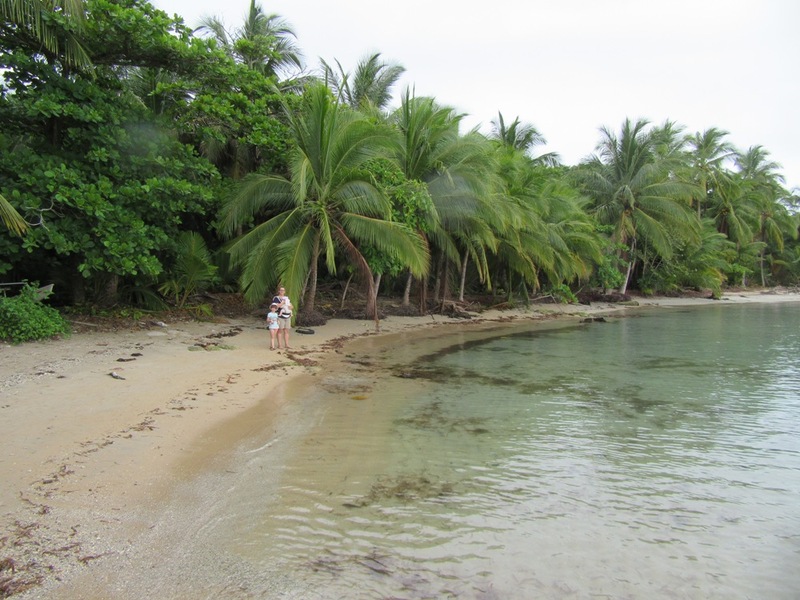 As soon as me and my little family arrived in Panama at ISLA COLÓN, it cast a spell over me. 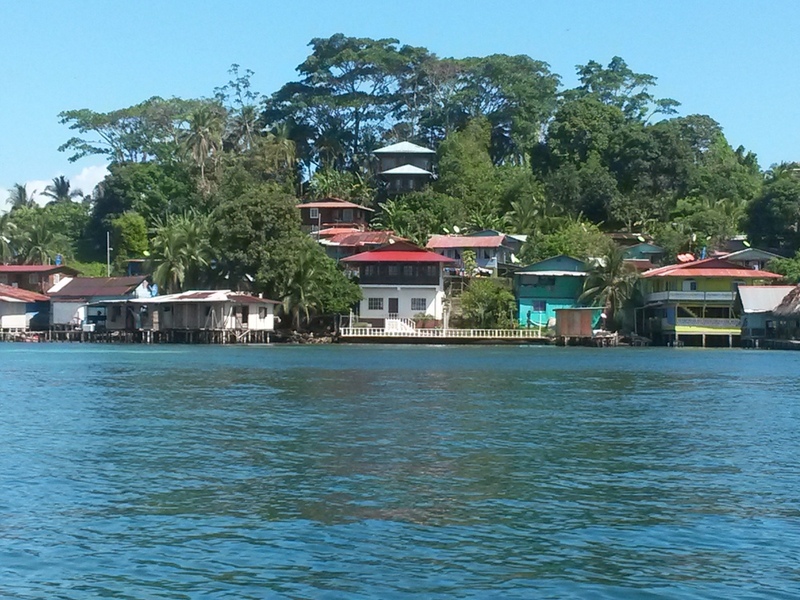 We reached our chosen part of Bocas del Toro, our base for the upcoming 7days by boat. Arriving at our B&B, I was irrevocable in love. It was love at first step! I felt like being home, was deeply relaxed and curious to discover the island and it´s surroundings. 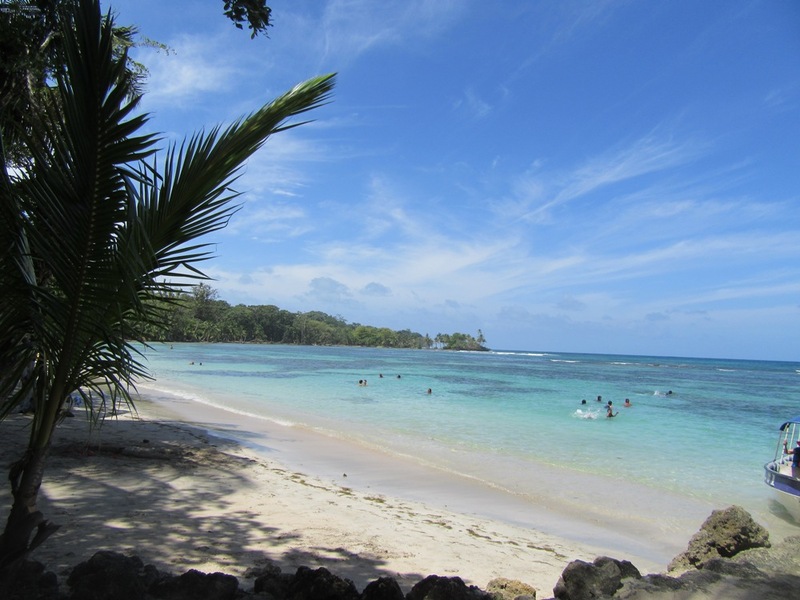 People here are relaxed – this Caribbean kind of – and the beaches are dreamlike. The island houses the famous Starfish Beach and many more hidden gorgeous and interesting places. Have you ever heard of Plastic-Bottle-Village? Come and have a look how these guys built a plastic village to show, how much we pollute our environment. Rent a bike and go to see Bluff Beach, a more rough one – great for advanced surfers. Could continue, but – take your kids and come. Only one more little thing: thanks to the diversity of its inhabitants, there is a big variety of great food and restaurants. Between dolce far niente, unwinding and kids animation, we discovered three more islands. Carenero we could see each morning while having breakfast. At its nearest point you could theoretically swim over, we didn´t try – but it became a must see for us. 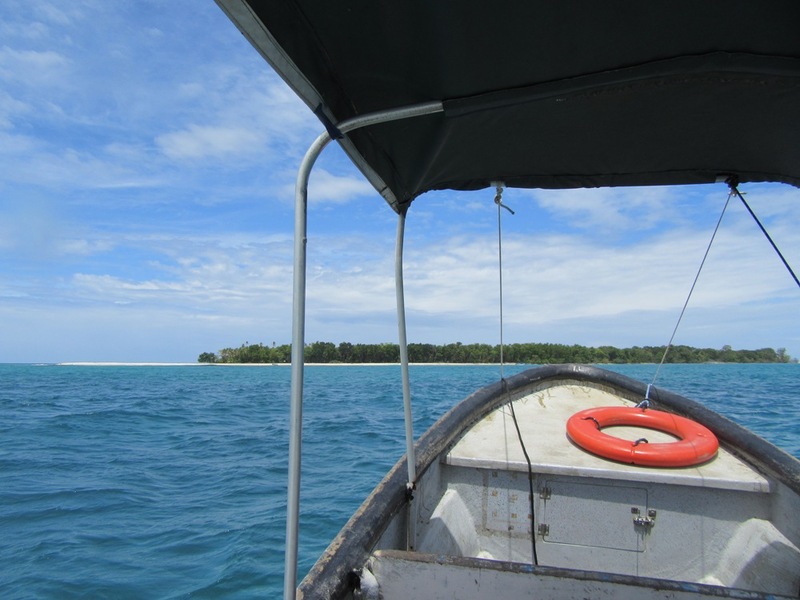 So one day we took a water-taxi, a so called lancha from Bocas Town and went. For $1,50 each and kids for free we reached our destination couple of minutes later. No paved roads or cars on this island, just a few golf cars crossing. It is quiet and just exude calmness. The accommodations and a few restaurants and bars are extending along the coastline and the peacefulness was within the grip. 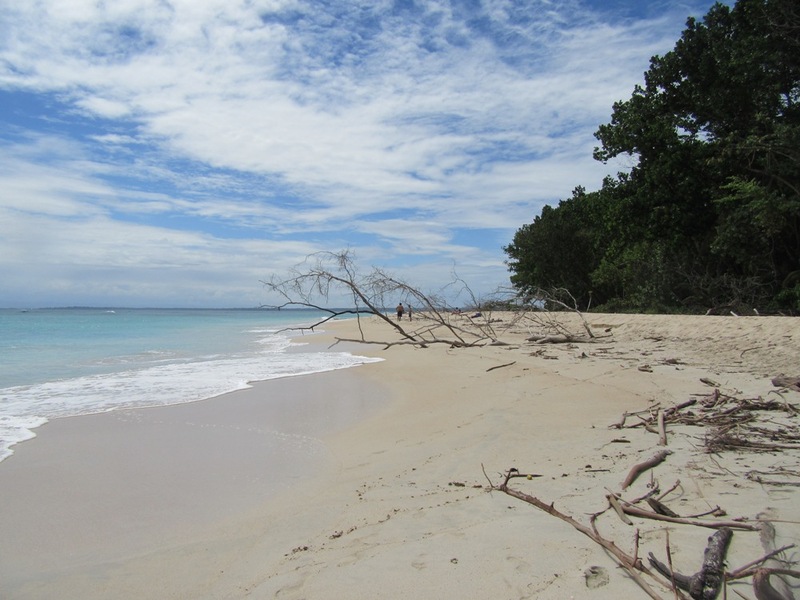 The beaches are likewise popular with Panamanians and tourists, which made us feel belonging here. Until sundown, water taxis will frequently pass by and take you back. 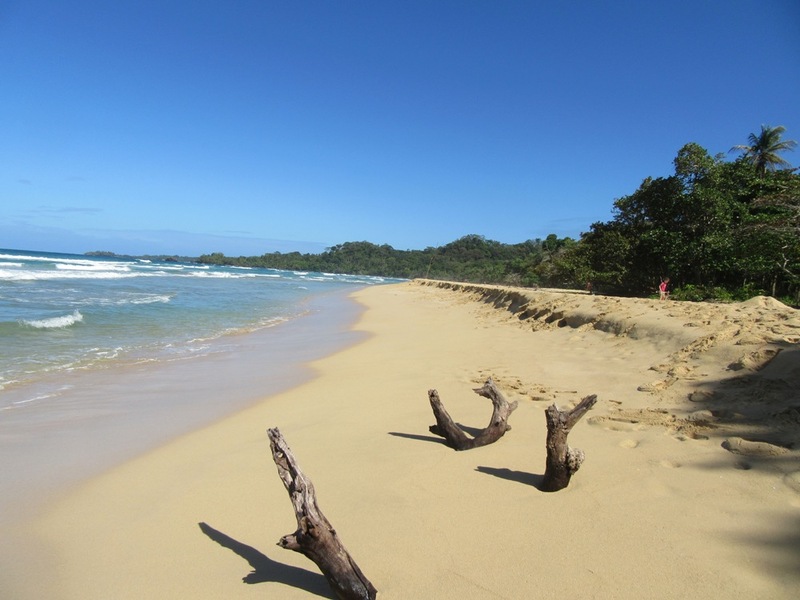 For all of you who ever engaged themselves with Bocas del Toro, you most probably have heard about Red Frog Beach. It is the so called “must see” on Isla Bastimentos. We abandoned going there, so we have to visit it next time, but no regrets we had one of our best days! First off all we climbed up the hill of Bastimentos to go to the organic farm UP IN THE HILL. We managed at 34 degrees! In recompense for our efforts, we enjoyed some tasty, cool chocolate-milk-drinks and relished the ambience. Following the recommendation of the owner, we went down the hill, through the forest – destination Wizard Beach (make sure to wear not only flip-flops). Our expectations didn’t get disappointed, further they got topped! An almost empty beach, huge waves, sunshine, clear blue sky and silence – what else could you ask for?! The 30 minutes back to the boat, no problem and on top we got rewarded with a stunning sundown! The whole island is a natural preserve. It’s about a 30-40 min boat ride away from Bocas Town, it is uninhabited and paradisaical. The sea out there might be a bit more rough and wavy, but the island, the view, the white sandy beach and the feeling to be in paradise is just – wow! There would have been no regrets to be cast away for a few days there. 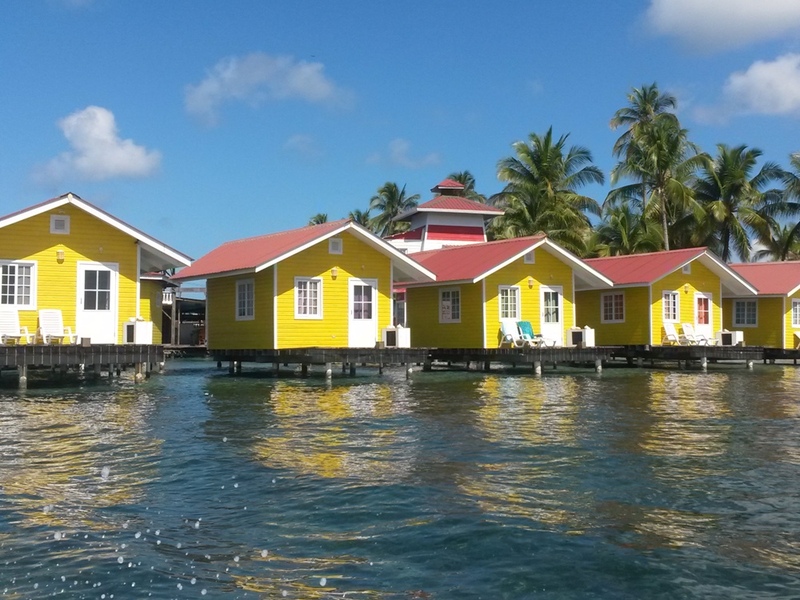 We stayed here a couple of hours and did it in combination with a daily private tour, stopping at different spots of the Bocas del Toro archipelago. 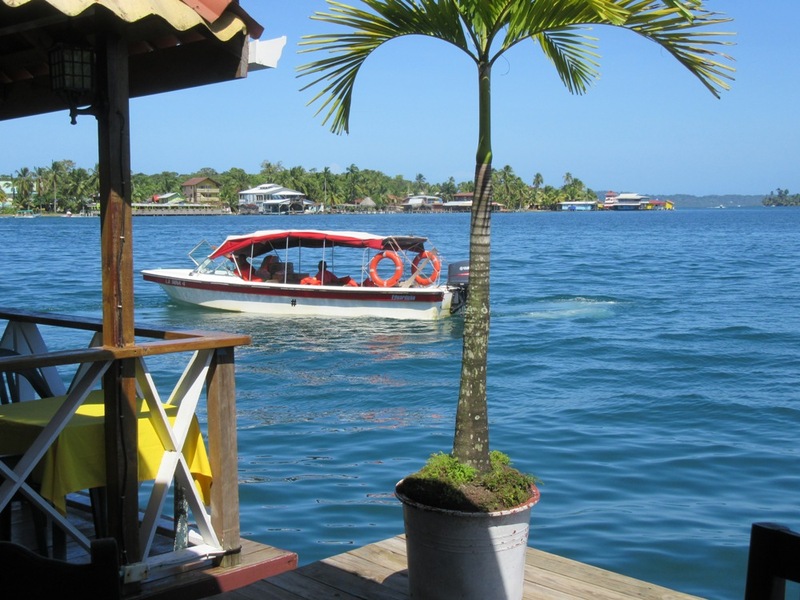 We booked in Bocas Town at Boteros Unidos – ask for Don Camillo, he is the best! Each of the islands has its own charm. Isla Colón is the most frequent one, but nevertheless my favorite. You find your private quiet little secret place somewhere there and if you don’t – take a lancha and go to one of the smaller ones. The archipelago offers something for everybody’s taste. Families are welcome and it is easy to keep the little and big ones busy and satisfied. 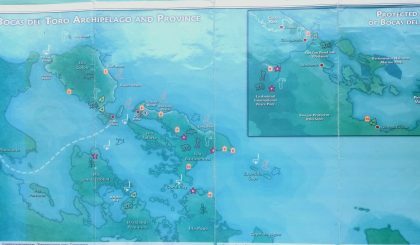 The islands offer such a diversity on activities and possibilities, we did not manage to do all we wanted. Great food, gorgeous ambience, nice people and dreamlike beaches – what more to ask for a perfect vacation? We were so thrilled by the area that we extended or stay. I left with a lump in my throat, knowing I have to come back. I highly recommend going there. © 2019 - All rights reserved. Designed by LittleBigVoyager.